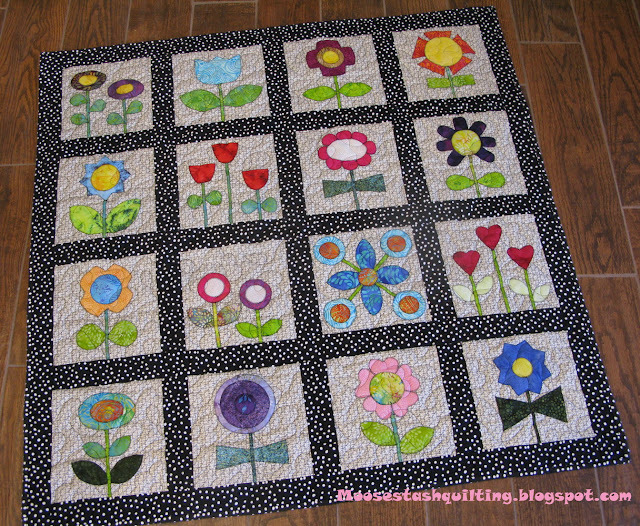 Have you been following "Bee in my Bonnet"s Bloom sew along? Oh heck, I just couldn't put it off anymore. I was really drawn to the script background that someone posted on Lori's blog. It got me to thinking about my stash! I didn't have enough for all 20 blocks. But this makes for a nice wall hanging size. I just love my "sew" background fabric, but best yet those Island Batik blooms really shine. Oh, I cheated a bit. I love the looks of the overcast stitch around appliques. Yep...those batiks are just too yummy! Sew, how does your garden grow? That being said...it's time for me to head out and pull a few weeds! Oh the joys of gardening. Maybe that's why fabric gardens are so much more appealing to me! Love it! 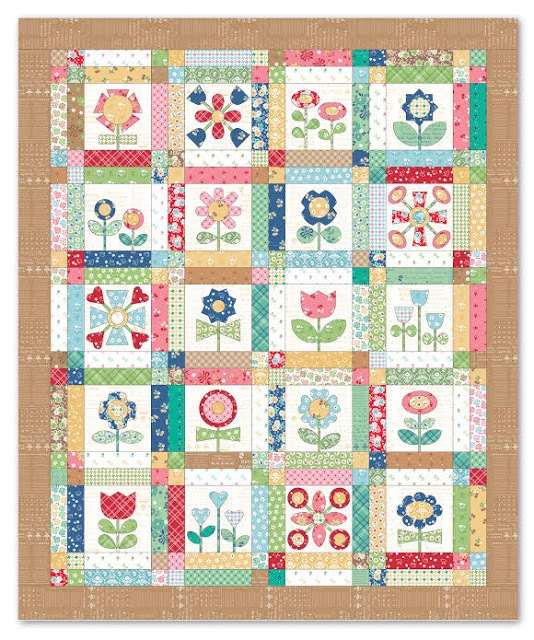 What a cheerful, happy, uplifting design and quilt! it looks awesome, we've had rain for a few days but that's great after planting veggies last weekend! I love your quilt and the colors you chose. The black/white and the background is so neat. I like fabric with writing on it. Used to collect it. Right now, I don't know if I have any at all. 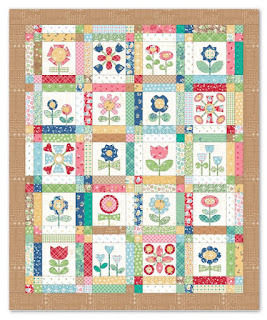 Your background makes for wonderful blocks with the bright colored flowers. I would have never thought of doing this in batiks. Turned out great, a totaly different that. I don't appear to be a batik kinda girl. I bought some about 3 yrs ago at the Paducah Quilt Show. That looks terrific. I have been tempted by that QAL. I love the patterns. Um, Yeah. Fabric gardens are much more appealing to me. LOL. No green thumb here. LOL. Love the quilt!!!! I love your take on this pattern. Of course you couldn't resist! Love the fabrics and the background. 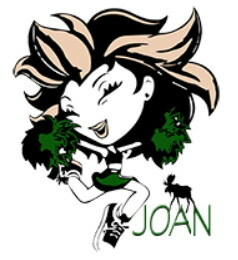 Beautiful Joan! I always enjoy seeing your applique....especially on batiks! I love, love, love this! The fabrics make this quilt have a whole different look. Seriously...it's beautiful!